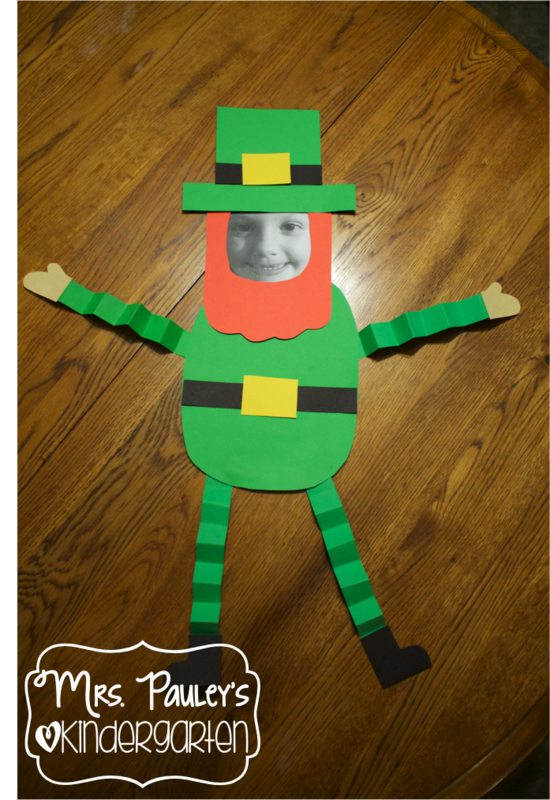 Teaching Blog Round Up: St. Patrick's Day Fun! Since this is my first time posting over here at TBR I thought I would introduce myself first. I am Amanda Pauley and I blog over at Mrs. Pauley's Kindergarten. I have been teaching for 7 years with 4 of those years in kindergarten. I have also taught third grade and first grade. My heart definitely belongs with the little ones. 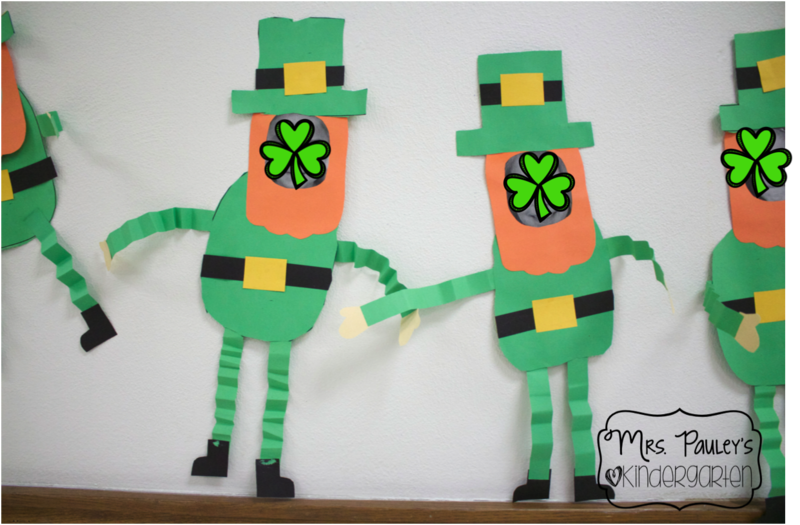 Since it is St. Patrick’s Day, I thought I would show you the fun craft that my class made this year to celebrate this fun holiday. We read a few of my favorite leprechaun stories. Then we made our very own leprechauns. But these weren’t just any old leprechauns….they were leprechauns with our own faces! Here is an example with my daughter's face so you can see the full on adorableness of these. Oh my goodness they turned out better than I expected. My students loved making them and I know their parents are going to treasure these cute little crafts when they come home at the end of the week. 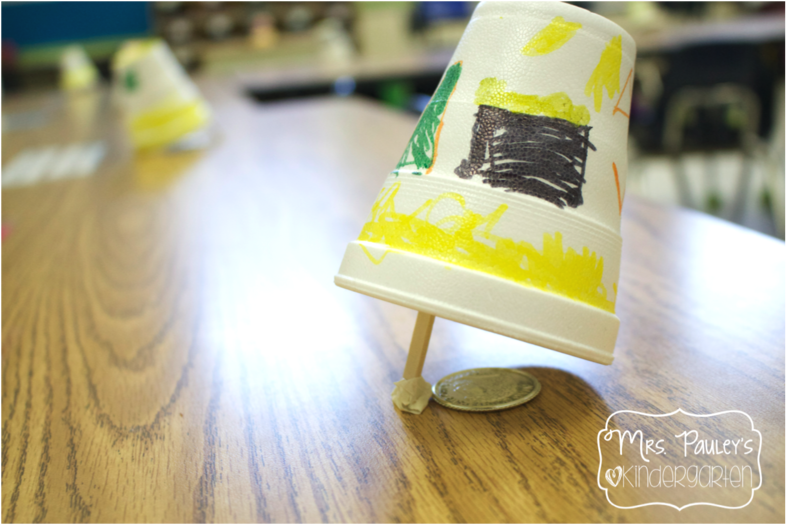 We also made leprechaun traps in hopes that tonight we will try to catch a leprechaun in our classroom. In the morning, their traps will be shrunk and they will find a piece of edible "gold" instead! 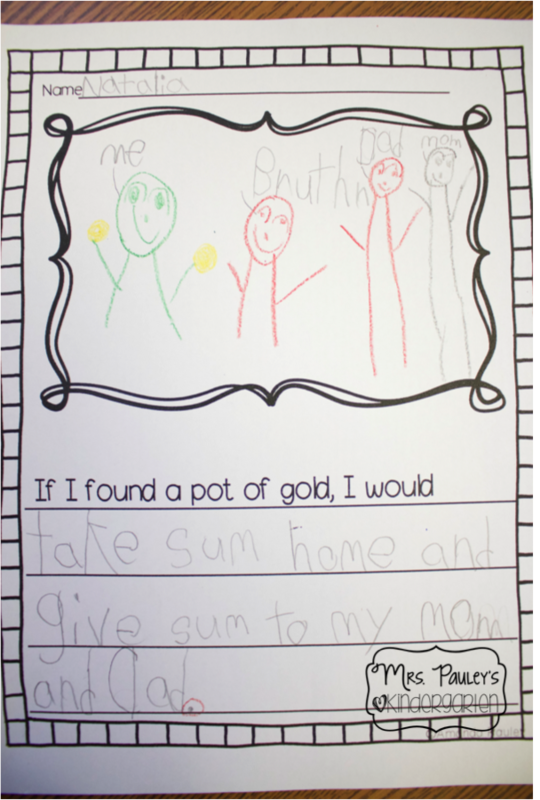 All activities came from my Leprechaun Yourself Craft & WritingActivities. I hope you had fun celebrating St. Patrick’s Day with your class. What did you do to celebrate? Leave us a comment to let us know!